Home » Astrology » Astrological Compatibility » What Is Astrology? Since the olden times, the splendid beauty of the sky has truly enthralled humans living on the ground. Believe it or not, it has inspired many works of poetry, literature, prose and art together with the incredible development of the whole branch of science. The ancient people used to ponder on various mysteries hidden under the sky where many sacred beings existed. The night sky is believed to be a beautiful and impressive sight in itself. Thus, that is one of the main reasons why the Moon and stars have often been talked in different romantic and intimate stories. These stories have been around for centuries. What To Know About Astrology? Astrology is known as an olden study of many patterns from the Sun, Moon, planets, stars, as well as how their presence, motion and state influence our life in the certain way. 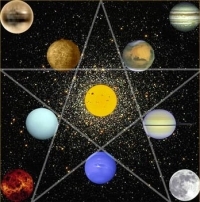 Astrology has been widely applied for broadening knowledge about the unknown and was initially used by the governments for the administrative purposes. Even these days, some certain governments like those of Burma often depend upon the astrological charts to view the good governance. Hence, Astrology in itself can be the way to gain knowledge and make sure that each step undertaken tends to be in the proper direction. Often, it has been the debate whether Astrology is truly the science in itself or not. What do you think about this? If Astrology is considered as the science, then it may fall into the aspect of metaphysics covering lots of the subjects which don’t exist in their physical shape. Astrology is pretty similar to other subjects that usually dominated the discussions among many scientific circles since time immemorial such as the theories about the energy patterns in ancient India and China. As a result, Astrology in itself can be the science in its own right. It has existed for a long time, and it has been described as the Mother of all Sciences. In fact, some theories of Astrology tend to argue that the movements of the different celestial bodies can affect every moment of time. Hence, here is the justification. Because all of us are the part of the universe, the time when we were born was actually recorded on the celestial clock, and since these heavenly bodies will continue to be in motion, they may release the amounts of energy which can impact our lifetime. Various Astrological Diagrams have been improved and constructed for centuries. Nowadays, students who study Astrology are often busy drawing the charts which have the symbolic association with some ancient astrologers in order to express their beliefs. Moreover, the outer planets will be defined through the long cycles that exhibit the generational trend whilst the shorter cycles will influence the Zodiac chart including the cycle of the planet Earth around the Sun. Normally, Astrology often happens to be a wonderful way in which a person can discover herself, and it may be utilized for varied purposes. Once going through various astrological works, we can be left mystified and puzzled. If we are truly passionate about this science, there shall be a stage in our life when we are able to make sense of something around us and bring out these details which we need and desire to know. Of course, for us, life consists of a series of the events which can not have any significance at first. They may all be given the reason with the study of Astrology, and more particularly with signs found by the subject. As a consequence, we may explore our inner strengths and search for logic behind all of the contradictions we have come across once making the decisions about dozens of issues in our life on our own. For further information of the topic “What Is Astrology?” please don’t hesitate to type all of your concerns in our contact box as we’re glad to support you.